Personally, I love the Easter Triduum and everything that it means. But I didn’t always feel this way. When I was younger, I didn’t quite understand the significance of the Mass of the Lord’s Supper, or the Veneration of the Cross, or the Easter Vigil. I didn’t know the deeper meaning behind the Triduum because I thought it was all just something I “had to” attend and participate in. And like many Catholics these days, Holy Week was just another opportunity to have some time off from my “usual routine.” No, our family didn’t go on beach vacations during Holy Week but we didn’t observe all the liturgical traditions faithfully either. When I joined a parish youth retreat and a youth group afterwards, and my parents joined Couples for Christ, a Catholic Charismatic community for couples and families, some of that changed… but not everything. I began to have a personal relationship with Jesus but—to cut a long story short—I still ended up sinning A LOT, going astray, living a “double life,” not understanding many facets of my faith, and not really practicing #LiturgicalLiving faithfully. That’s why I’m glad that God called me and my husband to homeschool our kids. I learned—and am still learning—a lot about our rich Catholic traditions and liturgical celebrations because we are called to teach our faith to our kids. We like to use books to learn more about our faith. As I write this, I have been on bedrest for 28 days… exactly 4 weeks. Lent for me has been mostly about learning to be still, praying for and serving others in my own limited way, and allowing God to love me through the care and service of others, especially my family. 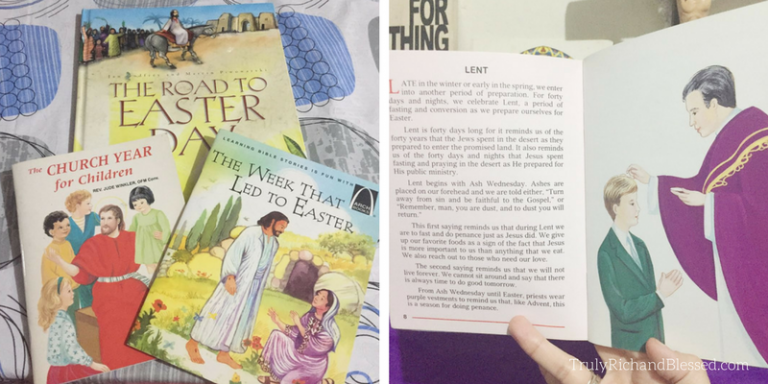 I will be missing out on the Easter Triduum services this year, but I still cherish these holy-days, and I thank God that our family can still observe them in our own way. My husband is serving at a Holy Week Retreat, our kids will be attending the Triduum services with their grandparents (except the Easter Vigil), and we will do our best to do our own Triduum traditions at home (mostly inspired by Catholic All Year). I pray that, by doing all of these things wholeheartedly and with pure intentions, these holy-days will really be more than just “holidays” to us. Days when we will remember the betrayal, suffering, death, and resurrection of Jesus, and thank Him for His great love for us. 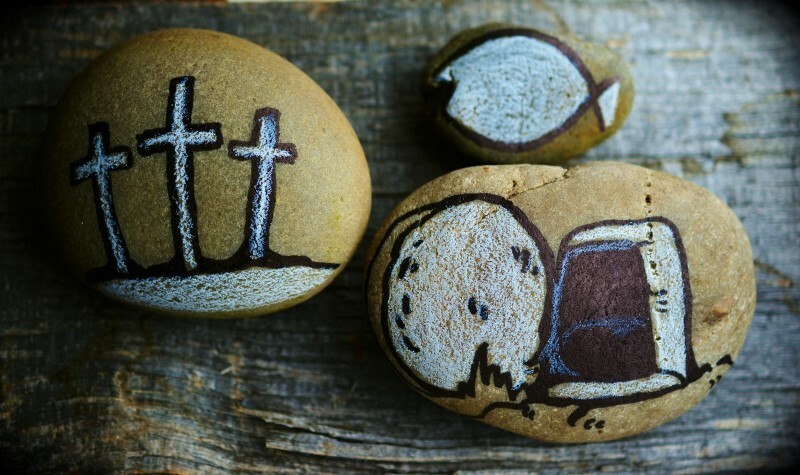 Days when we examine our hearts and return to the Lord wholeheartedly, ready to live out the joy and glory of Easter. I pray the same for you and your loved ones, too. Wishing you all a blessed Easter in advance!